Hasui Kawase – Arthur M. Sackler Museum 1939.26. 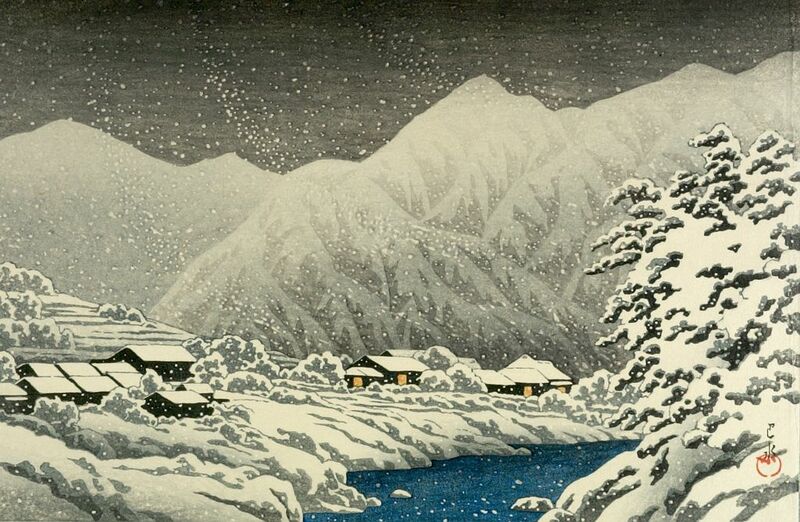 Title: Snowfall at Nakayama, Hida, from the series Souvenirs of Travels III. Date: 1924. Materials: woodblock print. Dimensions: 24 x 36.5 cm.. Nr. : 1939.26. Source: https://data.ukiyo-e.org/harvard/images/HUAM-CARP07168.jpg.